Wall-ACE will develop a consistent package of new advanced sustainable insulation products and systems. The HONEST (High performance Optimized Nanomaterial Energy efficient SysTem) package is a “modular toolbox system” providing a set of complementary solutions that will address most of the complex challenges raised by thermal renovation as well as new construction. The HONEST package includes: insulating thermal coating-finishing with low emissivity, internal high performance insulating plaster, insulating interior patching filler, external high performance insulating render, and insulation clay bricks. These products/systems will provide top insulation performance as well as improved comfort, indoor air quality, fire safety, durability and sustainability. 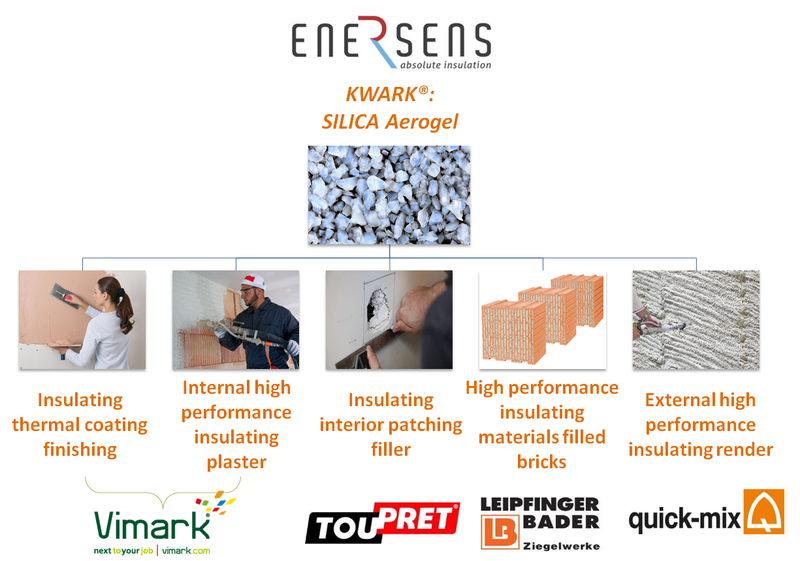 These highly efficient products are achieved through the synergy between the different members of the consortium through combining the high performance, sustainable, and advanced nanotechnology of the silica aerogel, with existing, already approved, efficient products. The aerogel materials structure properties and cost will be optimised. The process of the five high efficient mineral insulation systems will be scaled-up to test replicability, processability and reach industrial scale. Then, these five systems will be fully characterised including an LCA assessment, along with certification and standardization activities. In addition, the project sets a major focus on the “go to market” validation of the five products. Business planning and a field market test will be carried out, along with performance assessments on real buildings, and training and communication tools design, in order to maximize use potentials and foster a wide replication throughout Europe. The products from the WALL-ACE project are key enablers to energy and CO2 emissions savings at European level. They will strengthen the industrial leadership and competitiveness of Europe in the construction sector on a global level.